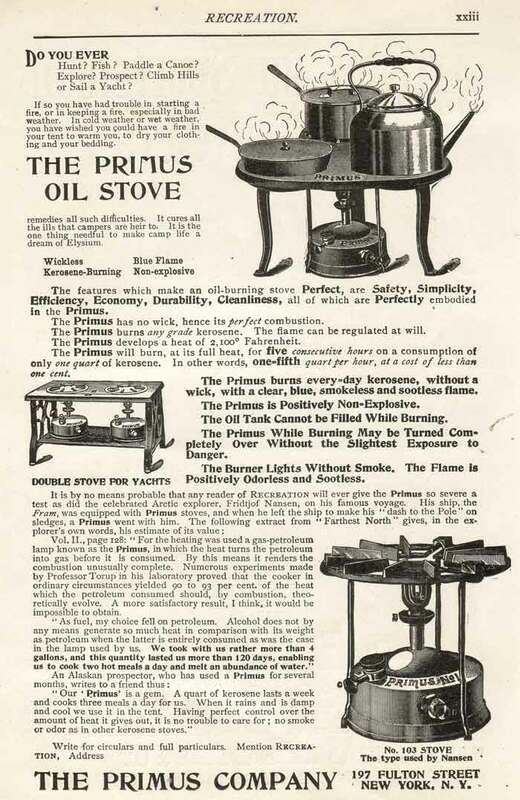 This post was going to be a few words about the Primus stoves we all love and some images I’ve collected from around the web. As usual, I found myself rambling all over the topic without a clear direction but here is a bit of an overview of liquid fuel stoves over the past century and a half. 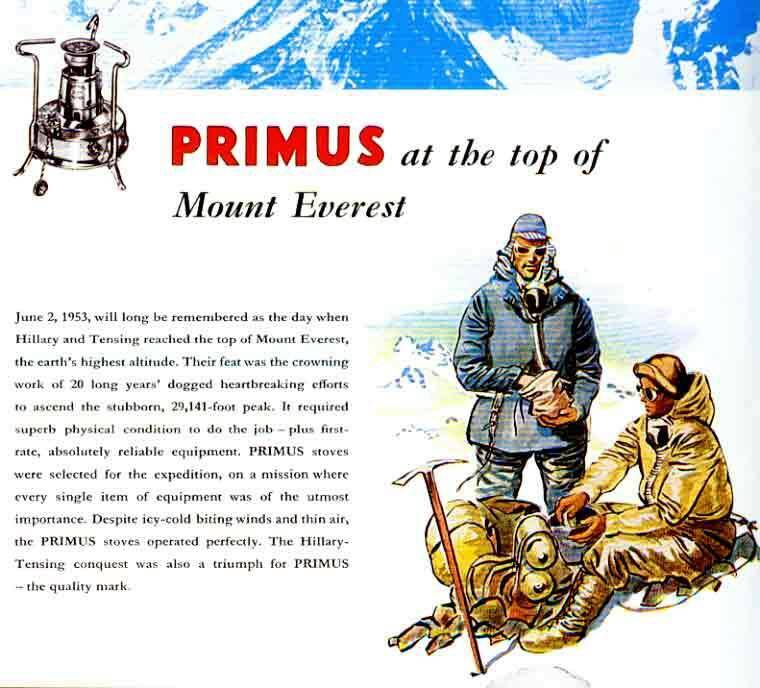 Primus advertisement 1899. 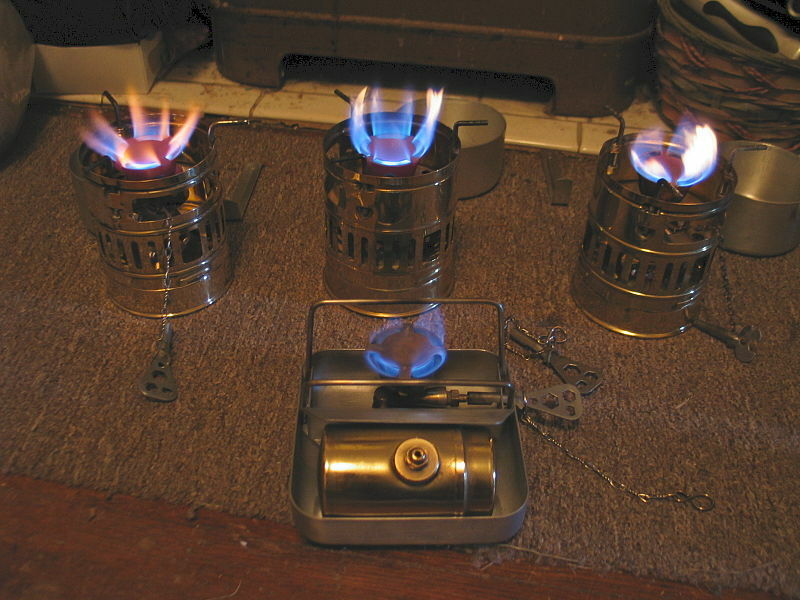 Image found on the Classic Camp Stove Forum. Outdoor cooking has become something of a lost art for those of us raised in the industrial world, but not too long ago, what we think of as camp cooking was just plain cooking. Several major advances made in the 19th and early 20th centuries resonate in our lives without a second thought from most of us. Most of our great-grandparents cooked with solid fuel (mostly wood, peat, manure, or charcoal) and their grandparents may have felt fortunate to even be able to cook indoors in bad weather. In the 19th century, the Caravan Craze, global expansionism, and campaign warfare sent massive numbers of otherwise civilized people back to the outdoors; often with high expectations about the board-of-fare. Although we, as a species, have cooked over campfires for many thousands of years, this is not always convenient or desirable; whether for speed, lack of fuel, or need for a low profile in the hedgerows. An early response to this need was the brazier or hibachi-type grill reinvented on numerous occasions in various parts of the world. These stoves can use small wood or charcoal but are heavy, smoky, and need large volumes of solid fuel for sustained use. Not a good option for the traveller. When coal oil and kerosene became common, liquid fuel appeared to be the answer. 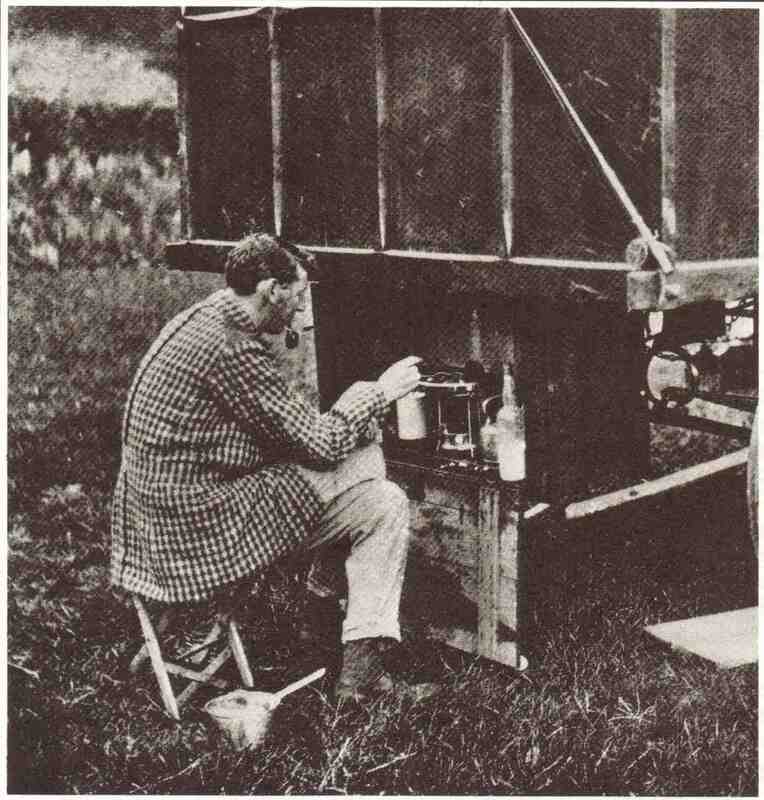 Although common now, liquid fuel stoves have not always been a good or safe choice for cooking on the road or in camp. 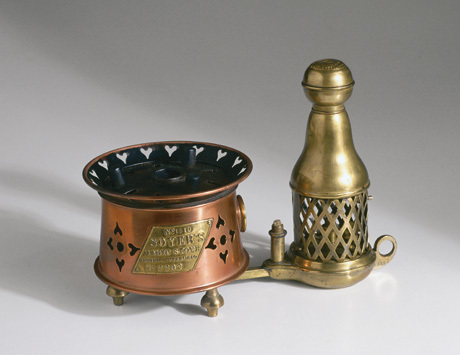 Early portable stoves used a wick and some variety of coal oil for the fuel. The flame created with a wick is relatively low-temperature, causing incomplete combustion. Wick stoves exude fumes and soot, like a low-quality oil lamp and are unpleasant at best, especially n confined spaces. These were not a terrible option for the 1850s, but nothing as good as what would come in the next generation. This little beauty is something that all modern cooks take for granted. 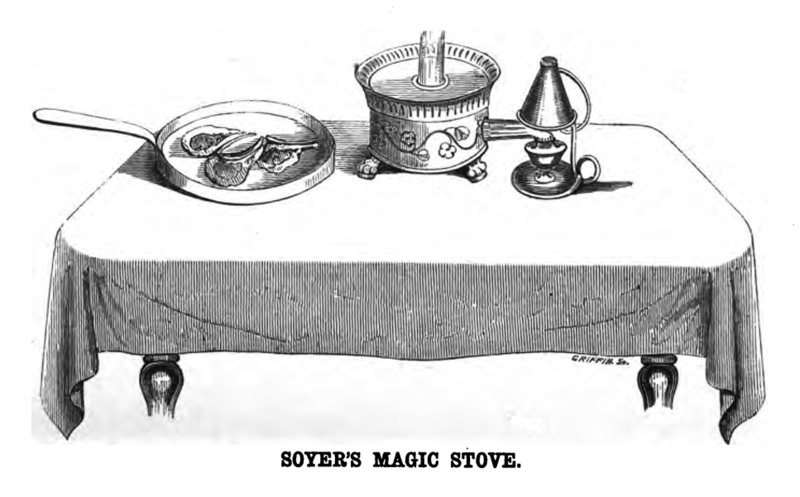 It seems obvious now, but Soyer realized that mothers, chefs, and camp cooks have many things to attend to at once. He wisely decided that a dinging countdown timer timer could take some of the strain away from cooking and make for better prepared meals. 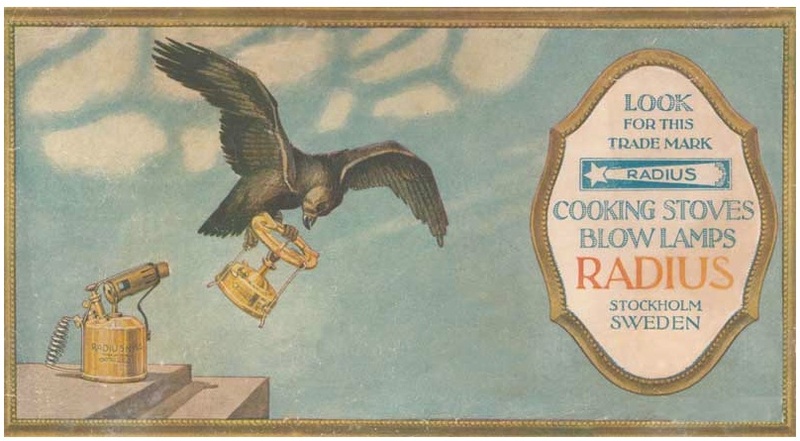 The coming of the pressurized stove – The Crimean war, the Raj in India, and other colonial ventures undertaken during Queen Victoria’s reign spurred on great advances in campaign living and long-term camping. The East India Company and the regular military encouraged officers to bring the comforts of home as whole careers were spent thousands of miles from home creating and running an empire. From this period, the Brits gave us great folding furniture, camp bedding, portable furnishings, and the Gypsy caravan but it took a Swede to take us to the next level, and camp technology has never looked back. The origins of the camp stove! 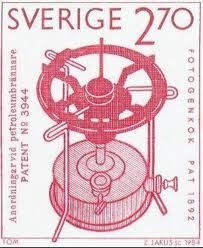 Lindqvist’s patent covered the burner, which was turned upward on the stove instead of outward as on the blowtorch. Improvements and variations came quickly after their introduction. 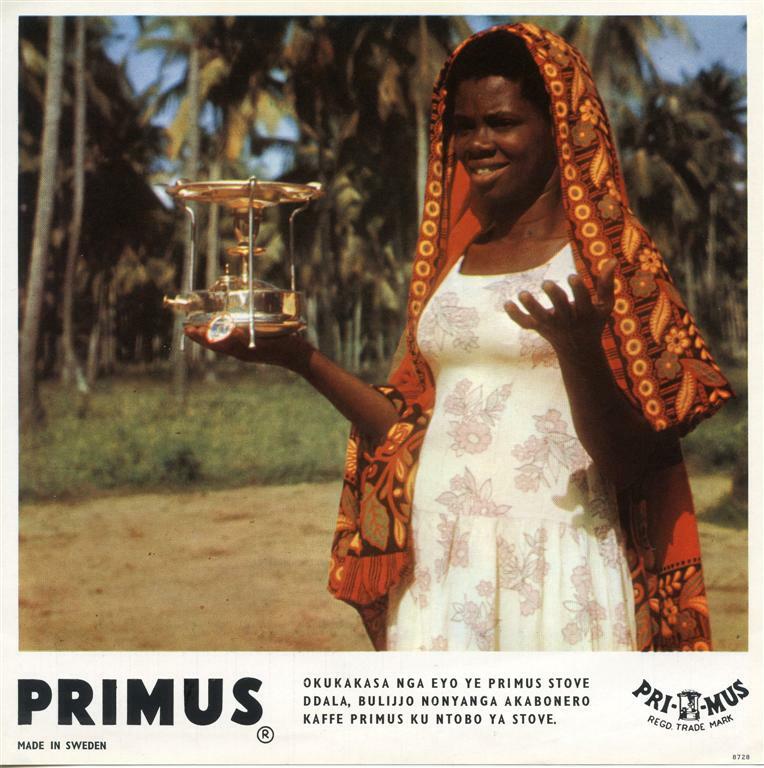 …The Primus No. 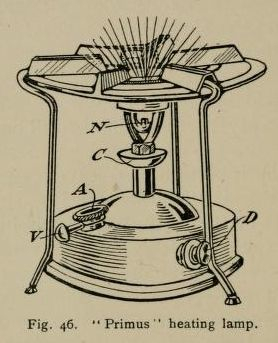 1 stove, made of brass, consists of a fuel tank at the base, above which is a “rising tube” and the burner assembly. A steel top ring on which to set a pot is held above the burner by three support legs. Other Primus-style stoves may be larger or smaller, but have the same basic design. The No. 1 stove weighs about 2½ pounds, and measures about 8½ inches high with an overall diameter of just under 7 inches. The tank, about 3½ inches high, holds a little over two pints of kerosene and will burn for about four hours on a full tank. We think of this type stove as a camp stove but they were marketed far and wide for household use as well. 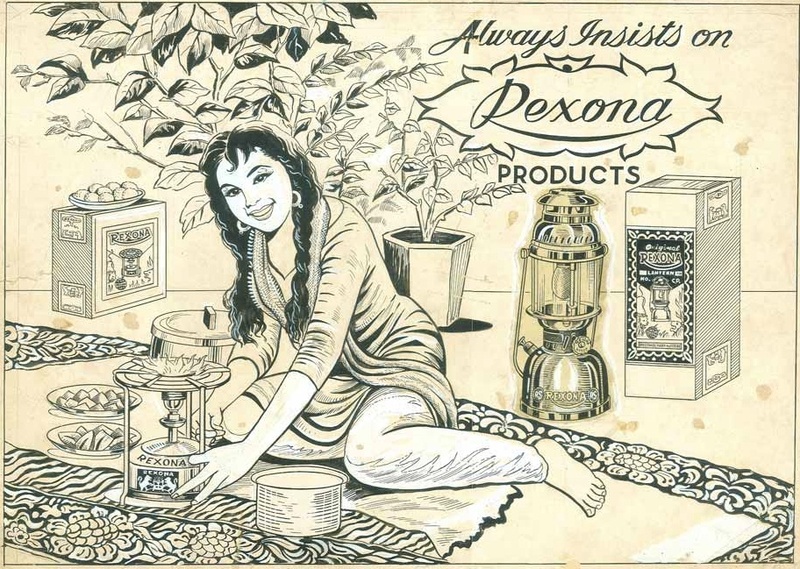 …Prior to the introduction of the Primus, kerosene stoves were constructed in the same manner as oil lamps, which use a wick to draw fuel from the tank to the burner and which produce a great deal of soot due to incomplete combustion. The Primus stove’s design, which uses pressure and heat to vapourize the kerosene before ignition, results in a hotter, more efficient stove that does not soot. 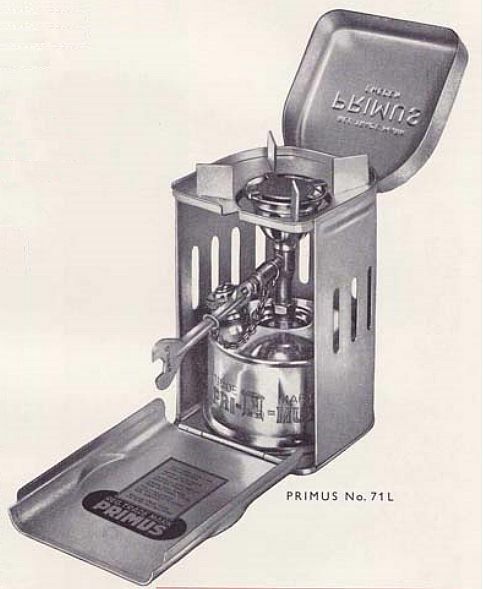 Because it did not use a wick and did not produce soot, the Primus stove was advertised as the first “sootless” and “wickless” stove. These stoves are still celebrated worldwide and are in use on every corner of the planet. 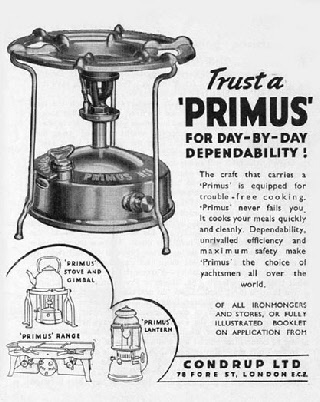 The ads give a hint as to how far and wide the Primus stove reached around the globe. This Radius ad is interesting as it shows the kinship or reapplication of technology from blow torch to stove with only a little modification by the engineers. 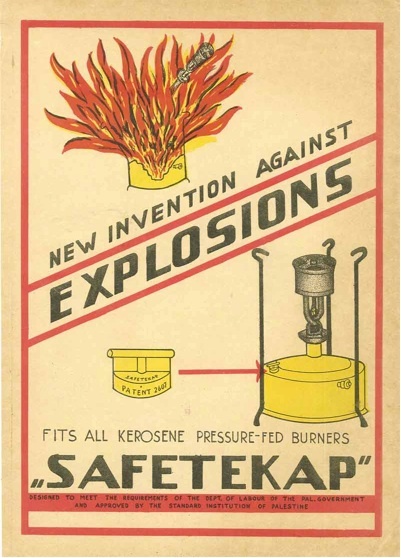 The designers continually improved this relatively simple device with, among other features, a safety cap that failed at a lower pressure than that which would have caused the stove to turn into and actual brass grenade. Although safety features were invented to reduce the number of serious accidents, I suspect these little contraptions are responsible for burning down a fair number of burns and the loss of more than a few homes. As with any successful product, there were and are many imitators of this relatively simple design and many still on the market models come from former old Soviet Union, China, and India. 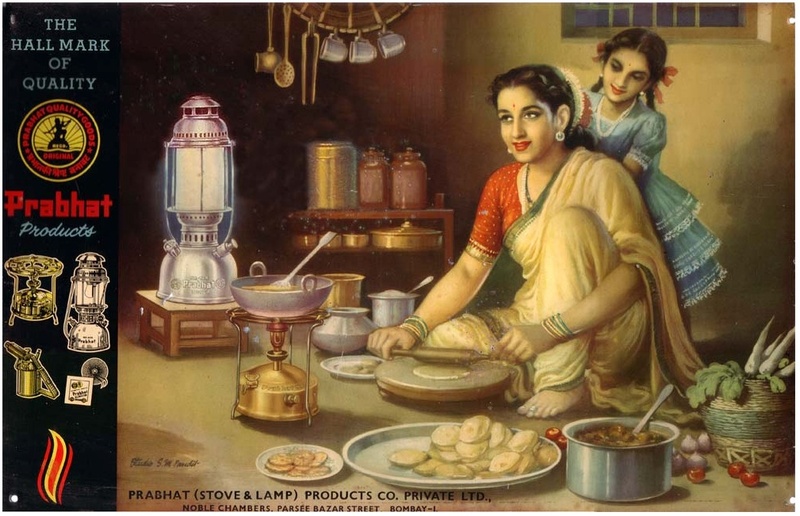 Judging by the marketing, they bring nothing but bliss and happiness but seriously, these devices were probably a huge boon to the housewife no longer in need of wood or dung for cooking fuel. 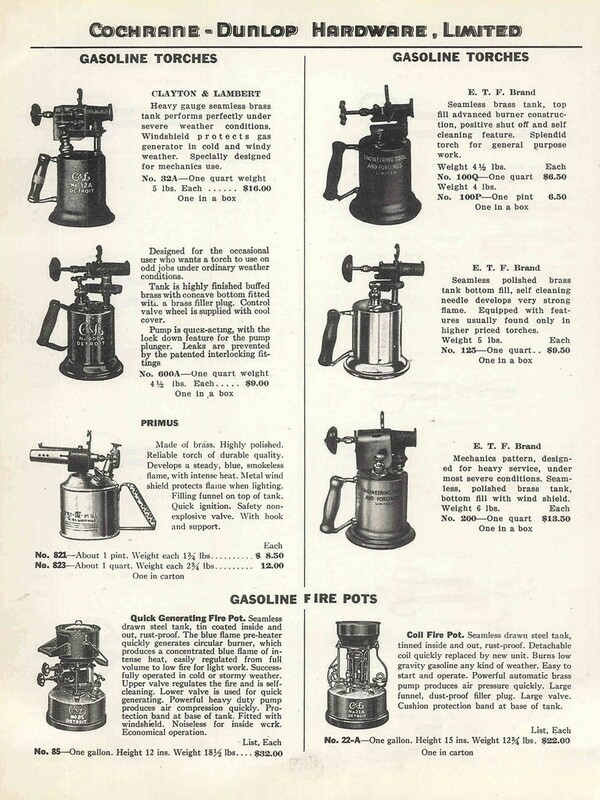 Although introduced in the early 20th Century, the Second World War and subsequent decade saw widespread popularity of the gasoline stove for military use. Unlike kerosene, gasoline (or purified “white gas”) is truly explosive, not just flammable. Placed under high pressure, these are potentially bombs. However, gasoline or derivatives can be found almost anywhere on earth with the spread of the internal combustion engine, making this a fuel of choice for international travelers. As per usual with us humans, we chose practicality and convenience over safety. The iconic early stove of this design is the Svea 123 as it it is a beautiful combination of design features including simplicity of construction, easy field repair, and heating power. Classic Svea 123 and a close cousin. 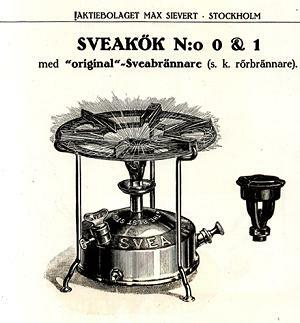 Variations on the theme are endless, from the Svea 123 (gasoline) to the Ultra-Primus double burner home range (kerosene). The various designs proved themselves in kitchens, on river trips, mountain tops, and in virtually every modern backpacker’s gear in one form or another. For much of the world, this style stove is still the centerpiece of kitchen cooking. A different spin on the basic Svea design. The main feature of the 71 is it’s convenient packaging for the traveller. Summitting Everest, a pretty great endorsement. As a side note to history, the design was so successful that many other companies copied the essential design. 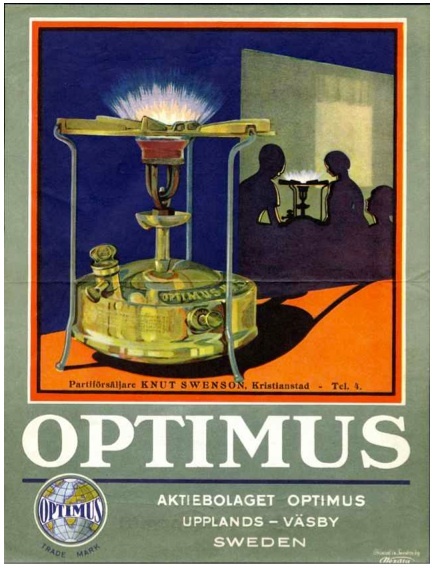 Here are just a few ads for the Optimus line of stoves and lamps, another spin-off, from their own website showing a wide range of related products over the last century. In my lifetime, liquid fuel backpacking stoves have undergone some serious refinements but overall, the system for liquid fuel stoves is essentially the same. Safety has been a big issue, of course, but size (decrease) and fuel capacity (increase) are probably the biggest changes. Many stoves use canister fuel (butane or propane), alcohol, or solid fuel pellets; but I won’t get into those here as they are beyond our scope. A new era; the MSR XGK multi-fuel stove. The final round of changes came from Mountain Safety Research and it’s later competitors. 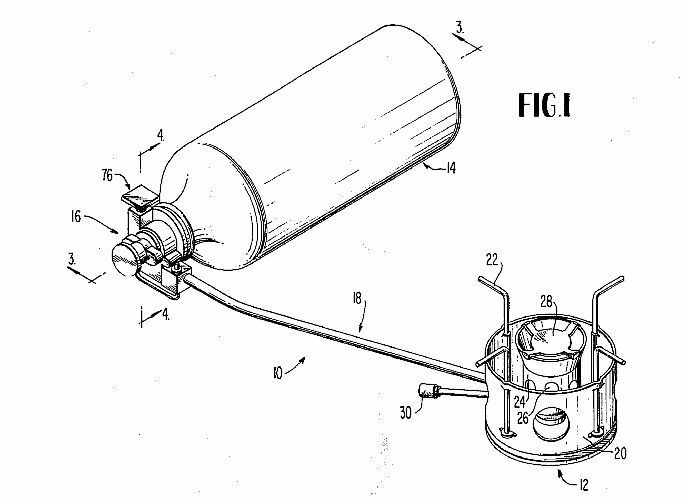 The big innovation was to separate the fuel tank from the burner assembly and add a pressurizing system to the tank. Small but efficient details were added like the self-lighting sparker, self-cleaning tube, and the inclusion of a lightweight wind screen. I have used one of these for used with pretty good success but I still find myself choosing the Svea 123 for many journeys. This post is woefully inadequate in so many ways but it is meant as a quick overview of the pressurized liquid fuel stove we all love so much. Here are some links to some great information on the web. And my all time favorite, the Svea 123. We have been friends for many years. If you don’t already own a 123, click the images to find out more. The Base Camp is a specialist equipment internet retailer based in Littlehampton, Southern England since 1986. They stock classic stoves and have an excellent selection of obsolete parts. A H Packstoves Supplies and Parts – is an online seller through ebay. He always has good stuff and some hard to find parts. The Fettle Box is a good source for pieces and parts for your classic stove. I have had good luck with them. Finally, the Classic Camp Stoves Forum. Several images above were found here. Information about virtually every kind of stove available. History, art, repairs, tutorials, and reprints are all available on the Forum. Click here for the mother load of information about Classic Stoves. That was fun. You made it interesting, thanks!